FACT CHECK: Cesar Millan Dead? Claim: Cesar Millan has died. The famous “Dog whisperer” Cesar Millan died of a heart attack this morning. Is this true? rehabilitation and training technics wit dogs, duty in which he professionally wrote three books on the topic “Cesar’s way” “Be the pack leader” and “Member of the family”, he reach worldwide popularity with his TV series “The dog Whisperer”, this name would be the new way people knew him, he died this morning in Santa Clarita hospital in California. The story quickly racked up thousands of shares on Facebook and Twitter as people mourned the loss of Cesar Millan. But there is no truth to this story. A disclaimer on Noticias Unam states all of the articles published on the website are fake. This may have been lost on some readers, however, as the disclaimer is written in Spanish. Celebrity death hoaxes are prevalent on the internet: Macaulay Culkin, Judd Nelson, and Gabriel Inglesias were all “killed” by hoaxes in November 2014. 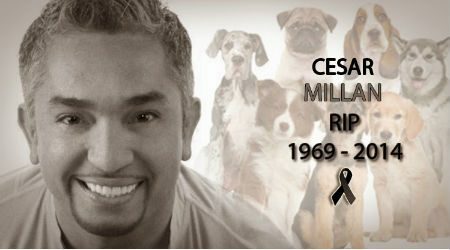 Although many Internet users have become adept at spotting such hoaxes, the Cesar Millan rumor appeared on a Spanish-language site and did not follow the familiar death hoax formula, which may have helped the rumor spread more rapidly around the web.